Denis Dyack's misguided epic saw its development cancelled on two different platforms before sputtering to life on the XBox 360. Was this studio-destroying game really worth all of the trouble? Every Thursday this August, Gaming's Greatest Flops will examine one of our industry's biggest failures in an attempt to understand what went wrong. This week: Silicon Knights' colossally expensive undertaking, Too Human (2008). If you were to create a three-item checklist, outlining the criteria for video game failure, Silicon Knights' Too Human would handily mark every box with a big, fat "X." An overly ambitious scope, with sequels planned far into the future? Check. Delays caused by development jumping from platform to platform? Check. At the center of it all, a prickly and enigmatic game designer with strong opinions and a grand vision? Oh you'd better believe that's a check. Looking at Too Human's sordid development cycle six years after its release, it's hard to remember what all the fuss was about. True, there are worse games—were it not for its infamy and hype, Too Human would likely be remembered as nothing more than another mediocre blip on the radar. But obviously, someone believed enough in Too Human to usher it through three console cycles' worth of development. And while this "someone" can largely be identified as Denis Dyack, Silicon Knights' founder, the problems surrounding Too Human can't be blamed squarely on one man. Rather, the myopia of an entire industry allowed Too Human to happen, and it's hardly the only example of insular thinking causing an expensive, misguided game to hit retail with a wet thud. But perhaps we should rewind a bit. To get a full sense of Too Human's development issues, it's important to know production on the game stretched from 1999 to 2008—though obviously, it saw more than a few hiatuses while Silicon Knights worked on other projects. 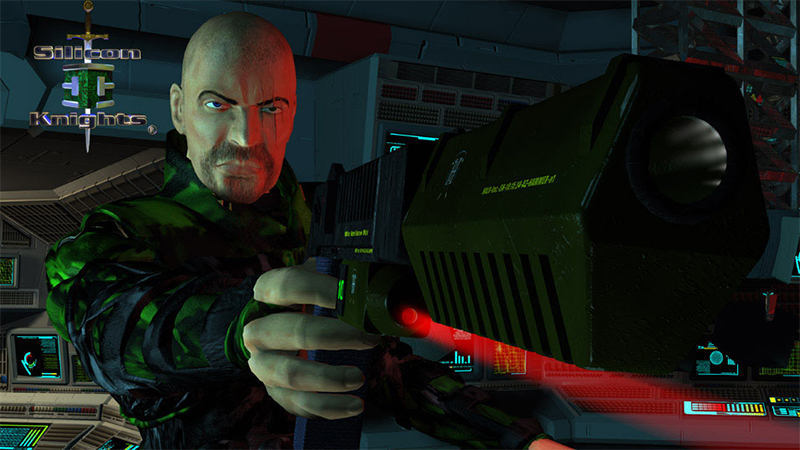 Silicon Knights made its first Too Human announcement in May of 1999, though the game's initial concept would be a far cry from its final form. No doubt inspired by the lengthy, multi-disc epics that found their way to the PlayStation in the wake of Final Fantasy VII, Too Human would land on Sony's 32-bit console as a role-playing game, spanning five discs and containing a surplus of full-motion video—an important selling point in the late '90s. Silicon Knights had been kicking this idea around since 1994, and finally, the PlayStation had the power to deliver on their big promises, one of which included the complete absence of loading times, and a fully polygonal world. At the time, it was believed Silicon Knights would release Too Human and Eternal Darkness—originally planned for the Nintendo 64—within the same window of time, but the developer went six years without finishing the development of a single game. Though Too Human's eventual transformation into a retelling of Norse mythology with a cyber-twist somewhat justifies its status as a planned trilogy, its original premise contained a much smaller and personal story. In an less-than-subtle homage to Blade Runner, Too Human's initial plot revolved around a future cop in search of vengeance against the cyborg who murdered his partner. Very little footage exists of this version of the game in action, and unfortunately, these remnants are preserved at a level of quality expected of late '90s Internet video—but this minute-or-so of gameplay reveals the original Too Human as a very different product from the 360 version. After this reveal, Too Human would pull one of its many disappearing acts before bits of footage from the game appeared on a sizzle reel at Nintendo's 2000 Space World conference, but without any formal announcement. Too Human isn't a bad looking game, but its visuals could easily be confused with a number of other XBox 360 titles. Too Human's GameCube teaser shouldn't have been a big surprise to anyone paying attention: Just a few months prior, Nintendo announced Silicon Knights' status as a second party, presumably to bring mature experiences to a brand quickly gaining a kiddie reputation thanks to the meteoric rise of Pokemon. Under Nintendo's umbrella, Silicon Knights flourished as they never had before—and by that, I mean they actually released more than one title. Their first GameCube production, Eternal Darkness, added some psychological twists and Lovecraftian touches to the survival horror genre. 2004 brought about Metal Gear Solid: The Twin Snakes, an unambitious remake that nonetheless gave Dyack and his crew the chance to put their names on one of the most revolutionary games of the last generation. Though the company was at its most productive in years—no doubt due to their second-party status—very little had been said of Too Human in this period. After the initial Space World teaser, Silicon Knights showed and said nothing about this years-in-the-making project, and only a handful of screenshots exist to prove its nascent GameCube existence. Six years after its initial unveiling, Too Human would see an announcement at Microsoft's X05 conference, where the company showed off the developers brought into their new console's stable (and announced an upcoming Halo movie executive produced by Peter Jackson—whoops). The game finally had its Norse-based narrative set in stone, and, with a projected release date of holiday '06, Silicon Knights' real problems began. Though the developer planned on using Unreal Engine 3 for Too Human, Dyack claimed Epic's technology didn't function as promised, and spoke publicly on the matter. Silicon Knights switched to a proprietary engine of their own design, and sued Epic for their failure to deliver what was promised. 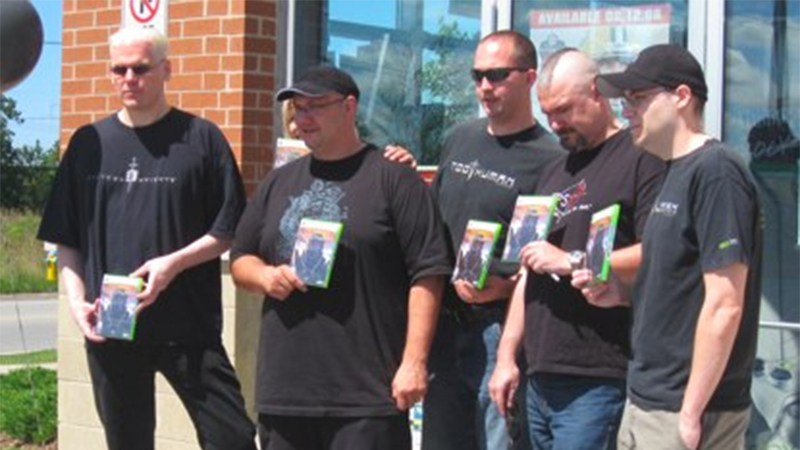 This lawsuit would eventually act as Silicon Knights' downfall, but until then, the developer saw its coffers buoyed by the Canadian government, who invested $500,000 in the company for a planned psychological thriller they would never produce. "NeoGAF and other forums like this that don't have good management are not only hurting society and hurting the videogame industry, they're in decline, and they need to reform quickly before people stop listening to them," said Dyack. "If the moderators and people who run the site think they aren't doing any damage, they are sorely mistaken, and it's only a matter of time before something bad happens." If you're looking to distance your larger-than-life personality from your studio's upcoming game, flopping down in a bed for an interview with Penthouse pets probably isn't the wisest idea. After all of this sturm und drang, Too Human's 360 launch revealed the game's greatest secret: It just wasn't very good. 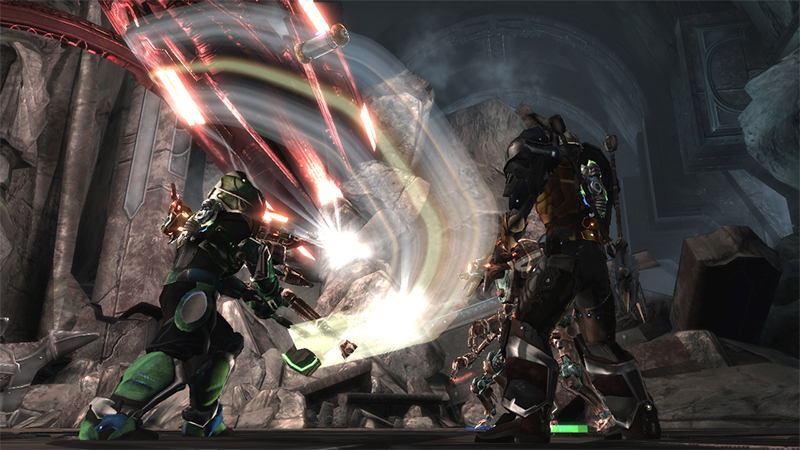 Despite its ten years of on-and-off development, Too Human didn't amount to much more than a flawed curiosity, as critics gladly underlined in their reviews. And that's the greatest tragedy of Too Human: Dyack's decade-long promise resulted in nothing more than a 10-hour Diablo-lite with a novel control scheme. Even if you didn't care for Shenmue, you could at least appreciate its unique intent of recapturing the most mundane moments of mid-80s, small-town Japan. The final version of Too Human offered no such charms, and its bald dudebro protagonist on the cover was barely distinct from the countless other bald dudebros who starred in the game's competition. Unintentionally, the sad state of Too Human could have been Dyack's savviest move yet: He managed to generate an endless supply of conversation about a game that otherwise wouldn't merit a single discussion. In the passing years, Dyack has changed from polarizing to pitiable: While Too Human never stood a chance of recouping its estimated $60-$100 million budget (sadly, no concrete figures exist), Epic's countersuit proved far deadlier than a single flop. After Silicon Knights was found guilty of breaching their contract, misappropriating trade secrets, and infringing on Epic's copyrights, the company had to pay $4.45 million in damages, and destroy all copies of their games built with Unreal Engine 3—including Too Human. So the tragic story of Silicon Knights' wayward production not only ends with death at retail and a critical lambasting, but court-ordered euthanasia. Bad games typically get what they deserve, but Too Human might be the only case of one being put to death. Tagged with Denis Dyack,	Retrospective,	Silicon Knights,	Too Human,	Xbox 360.